Not to be confused with Gareth Edwards (director). 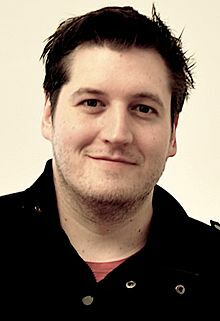 Gareth Huw Evans (born 1980) is a Welsh film director, screenwriter, editor, and action choreographer. He is best known for bringing the Indonesian martial art pencak silat into world cinema through his films Merantau, The Raid, and The Raid 2. Evans was born and raised in Hirwaun, Cynon Valley. He graduated from the University of Glamorgan (now the University of South Wales) with an MA in screenwriting, and made his living by helping people learn Welsh over the internet. After directing a small-budget film called Footsteps, Evans was hired as a freelance director for a documentary about the Indonesian martial art pencak silat. He became fascinated with it, and discovered Indonesian martial artist Iko Uwais, who was working as a deliveryman for a phone company. Evans cast Uwais in his 2009 film Merantau, which became a cult hit. He planned to produce a larger action film, but scaled the production budget down and created an action film called The Raid (2011). After the success of The Raid, the larger action film eventually became the basis for its sequel, The Raid 2: Berandal (2014). In late 2016, Evans started working on his next film, Apostle, which stars Dan Stevens. The film was released by Netflix on 12 October 2018. In October 2017, TheWrap reported that Evans had pitched his idea for a Deathstroke solo film and is in early talks to write and direct. Evans also passed on directing a Justice League Dark film. He lived in Jakarta with his wife, Maya, and their daughter, Sophie, until the family moved back to Wales in 2015. In November 2011, The Raid won the Midnight Madness Award at the Toronto International Film Festival in 2011. ^ a b c Hughes, Brendan (24 May 2012). "Gareth comes home for his film premiere". walesonline.co.uk. ^ a b Brown, Todd (4 February 2009). "Gareth Evans and Iko Uwais talk MERANTAU". Twitch Film. Archived from the original on 9 March 2012. Retrieved 2011-09-22. ^ "'The Raid' directed by Glamorgan graduate Gareth Evans released today". University of Glamorgan. 2012-05-18. ^ Ludkin, Gareth (May 2012). "profile - Gareth Evans". Buzz: 22. ^ a b c d Wrenn, Eddie (24 February 2012). "From the valleys of Wales to the hills of Hollywood: Fledgling director Gareth Evans' meteoric rise to fame as critics praise The Raid". Daily Mail. Retrieved 2012-02-23. ^ Gareth Evans – The Raid Interview at TIFF 2011. Tribute.ca. 8 September 2011. Retrieved 2011-10-01. ^ Helen Barlow (15 June 2014). "Welsh director Gareth Evans' second 'Raid' movie is an all-action expansion of the first Indonesia-filmed hit". South China Morning Post. ^ Gonzalez, Umberto (October 25, 2017). "Gareth Evans In Talks To Write & Direct A Deathstroke Solo Film". TheWrap. Retrieved October 25, 2017. ^ "Director, Star of 'The Raid' Discuss the Movie". Jakarta Globe. 2012-04-02. Archived from the original on 2012-06-06. ^ Damon Wise (5 May 2012). "The Raid: how a Welsh director rocked the world of Asian action cinema". The Guardian. ^ "Sony Pictures Classics Releasing The Raid". deadline.com. 29 November 2011. Wikimedia Commons has media related to Gareth Evans. This page was last edited on 12 February 2019, at 11:40 (UTC).